We’ve all heard it by now. That wobbly and groovy super saw sound that lights up a song. Getting this sound boils down to having the right chords, the right layers, EQing the sounds properly, and providing movement for the chords. 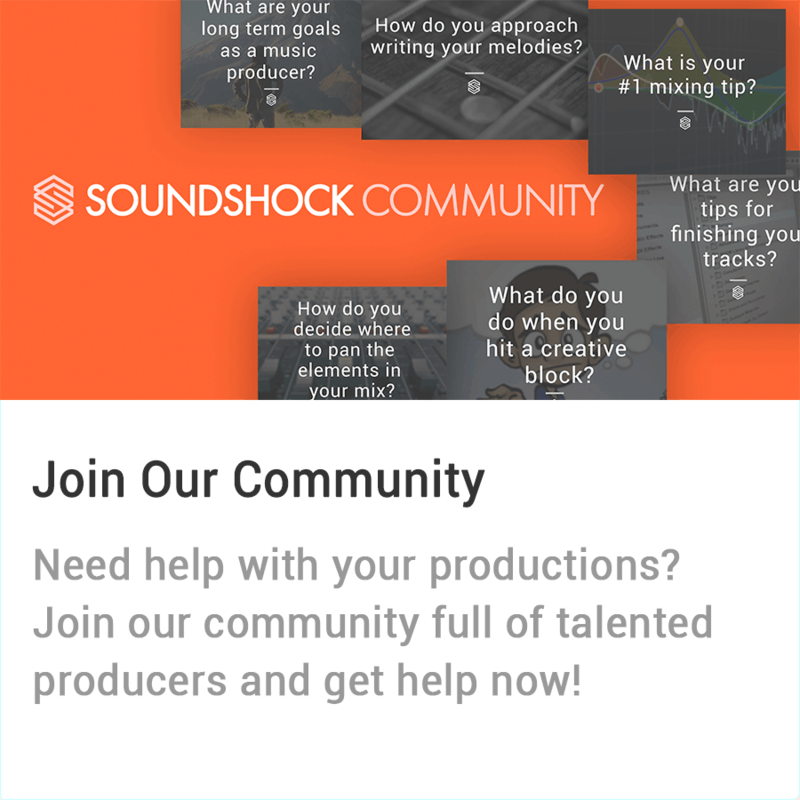 However, getting these pieces of the jigsaw to fall into place can be a challenge, which is why SoundShock has put together this music production tutorial on how to make a future bass synth. 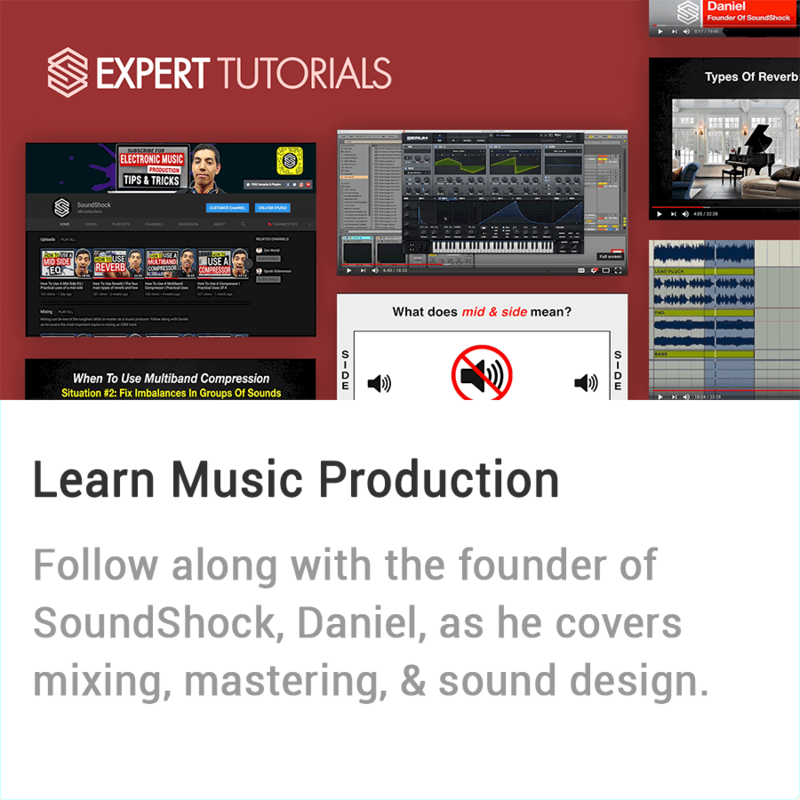 Having a basic understanding of music theory will help immensely when learning how to make future bass chords. For this article, I am going to assume that you have this basic understanding. The Future Bass genre works best when given a moody vibe, so therefore we are picking a minor key to build our song on. In this example we picked F minor. As far as the types of chords are concerned, once again we want that moody and jazzy type feel and your focus should be on the use of 7th and 9th chords. 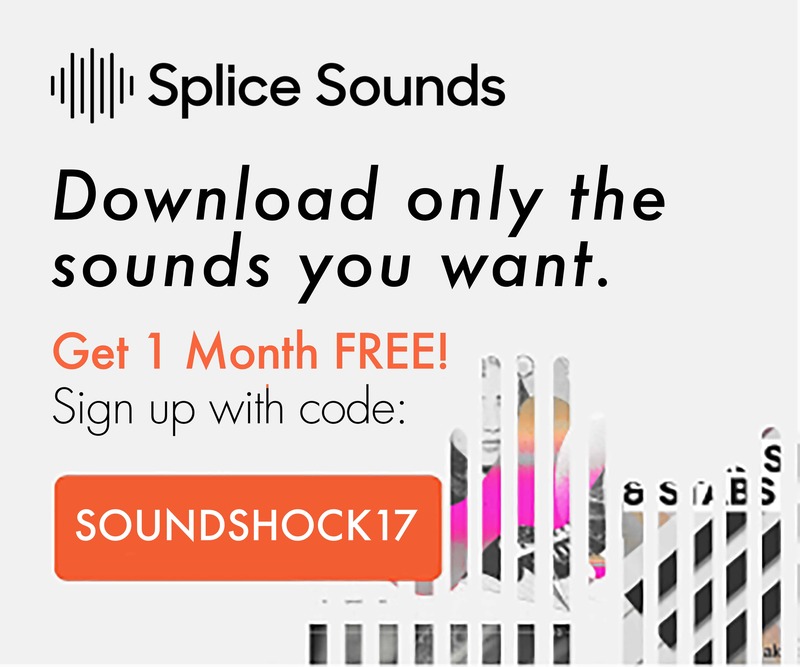 Every chord doesn’t have to be a 7th and 9th chord like in our example, but the use of at least one will help you get closer to creating these Future Bass chords. In our example we use a I-VI-IV-V progression to achieve that moody vibe and chop up the chords throughout the progression to give it a more interesting feel and movement. 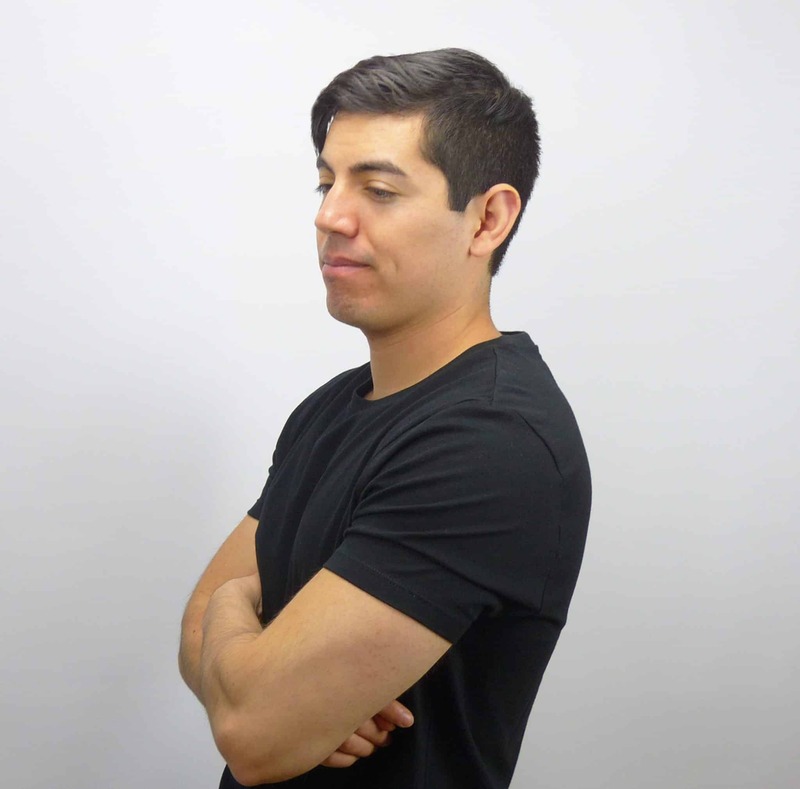 So let’s go over each individual layer and the role they play in shaping the overall Future Bass synth. This layer provides the foundation for the whole sound. 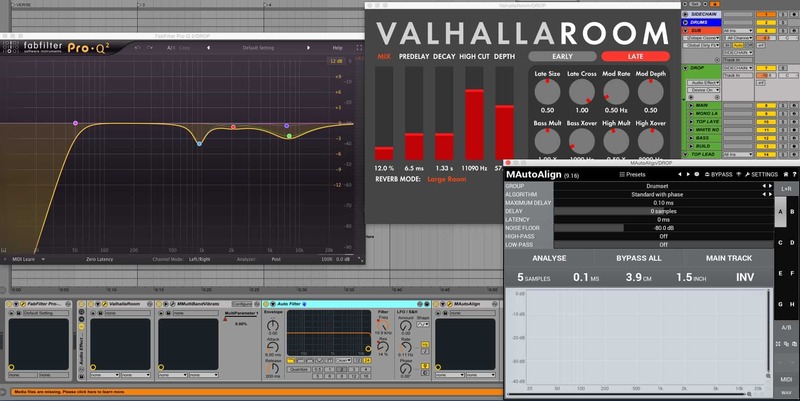 You want this layer to be rich in harmonic content and to be spread very generously throughout the stereo field. For this sound, detuned saw waves work great here. 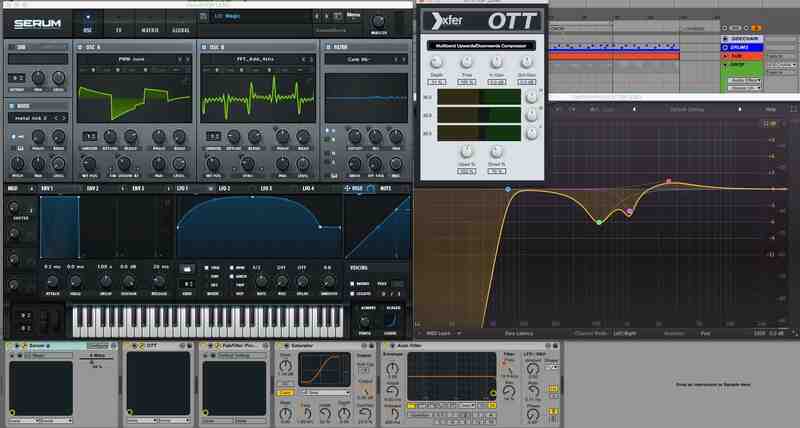 We process the sound with an OTT to add some grit and bring it forward in the mix. We follow that up with EQing out muddy frequencies. Then we use a subtle saturator to put back a little harmonic content after the subtractive EQing, followed by a Haas Stereo spreader. 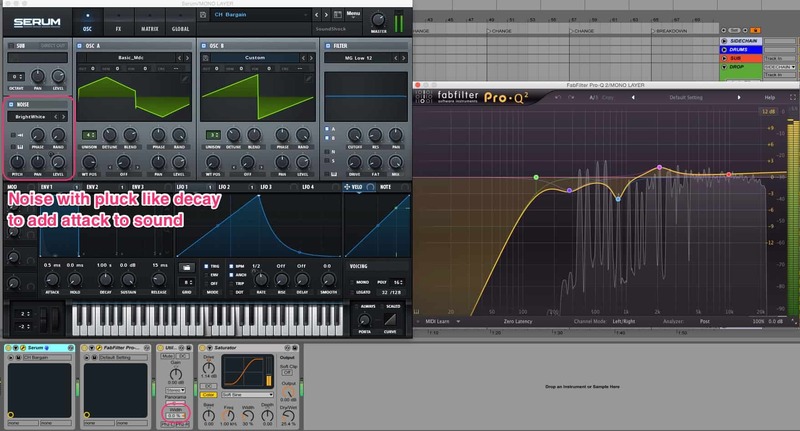 Since we want the main layer of the Future Bass Synth to be as spread as possible we take advantage of the Haas Effect and put one of the two hard panned channels with 100% delay to give the appearance of a wider stereo image. Next is the mono layer. This is as very important layer for your sound because we want our song to translate well on all speaker systems, especially mono systems. We then put an EQ on the chain to take out the mud and brighten up the highs. For this layer we take the very top midi notes from our main layer chords and use them to give a lift to our Future Bass synth. This top layer will provide the character and unique timbre to the sound and make it stand out. As you can see we use more complex waveforms in our Serum patch to achieve this. Once again we follow this up with more subtractive EQing and light saturation. For our bass we keep it real simple. 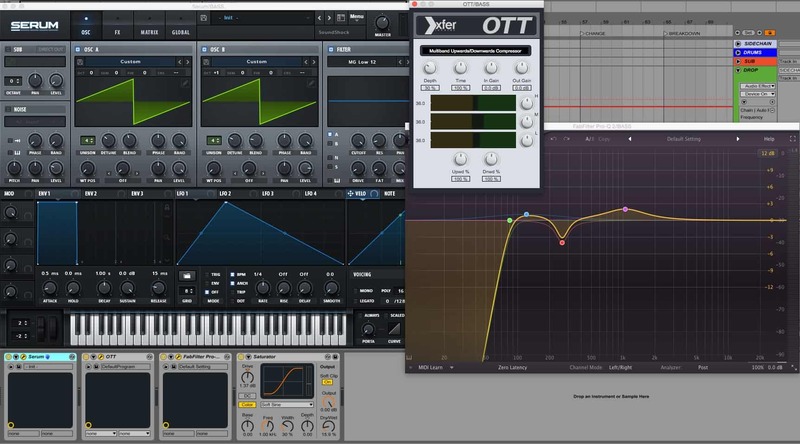 Saw waves give off the most power here so we simply copy over the same serum patch from the main layer and change the EQ around to tailor the sound. 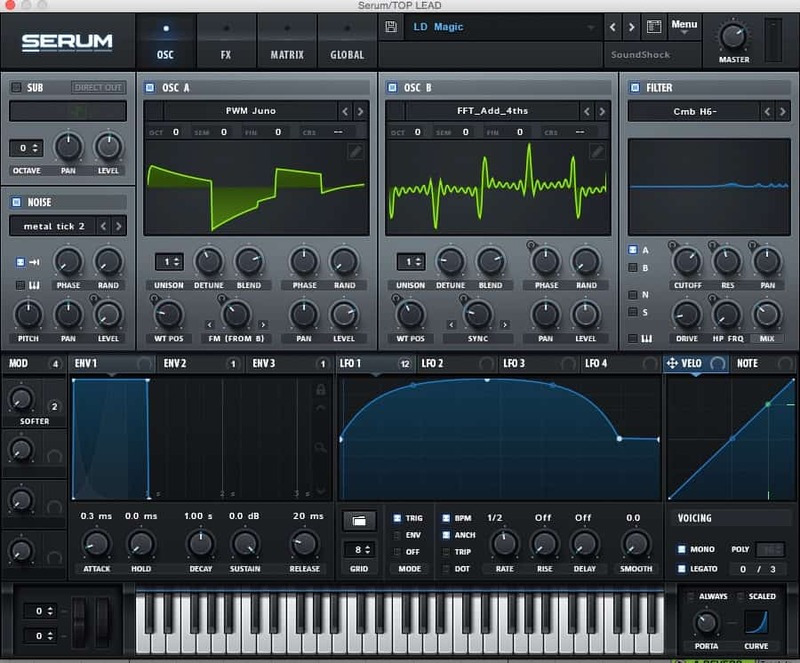 This will provide the main melody of the song and will sit on top of your other synths. Because this element has a special place in the mix, we exclude this layer from the synth group that we have, so we can process the two separately. Since this will be front and center, we give this sound a lot of movement and interest by using complex waves in serum, using fm processing, and comb filtering. 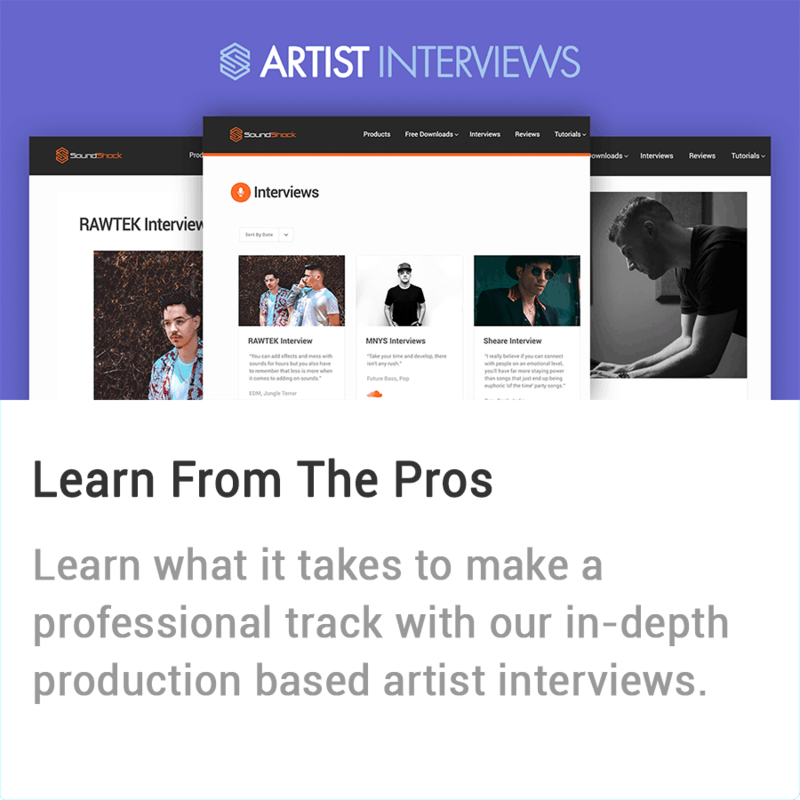 Once again we stick to the standard processing chain with an OTT to bring it to the front of the mix, EQ for mud removal, and light saturation. For the sub, we also like to keep it simple. 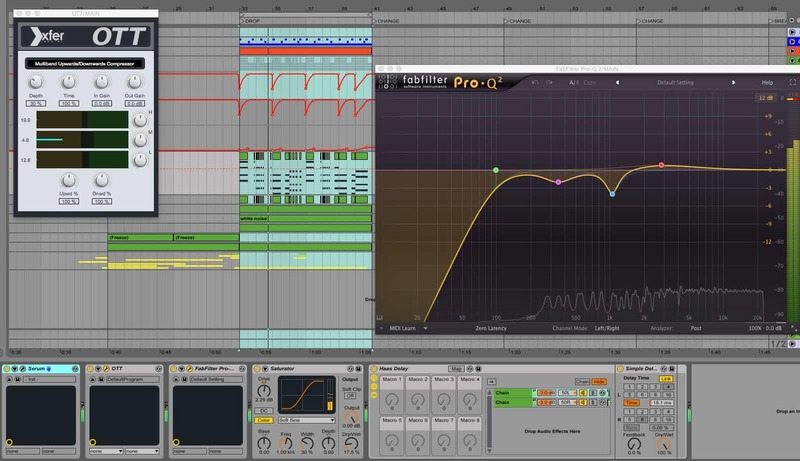 We are using ableton’s operator with just a plain sine wave going. For added depth and power we then add a mid layer to the sub, so we split the sub sound into two channels and leave one unprocessed to let the pure sine tone through and then we process our mid layer. For the mid layer, we first EQ out the sub part as we want nothing to interfere with the pure sine tone. Then we add a saturator with aggressive settings to give the sound some grit. 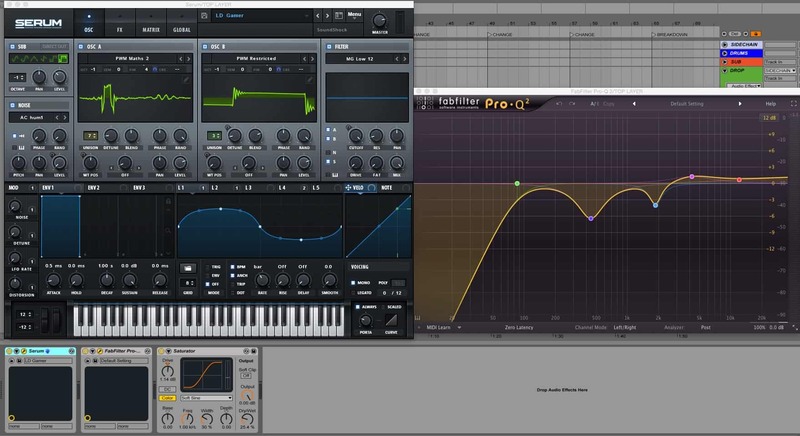 Next we EQ out the sub again as the saturator added back some harmonics in the 30 to 90 Hz range. Then we add a stereo imager and bring out the high end of the sound. Finally we group process the mid layer and the sub with a little more EQing and saturation. Lastly, we add a simple white noise layer with a low cut on around 730 Hz to add high end sizzle and to make sure our sound is filling out the frequency spectrum. 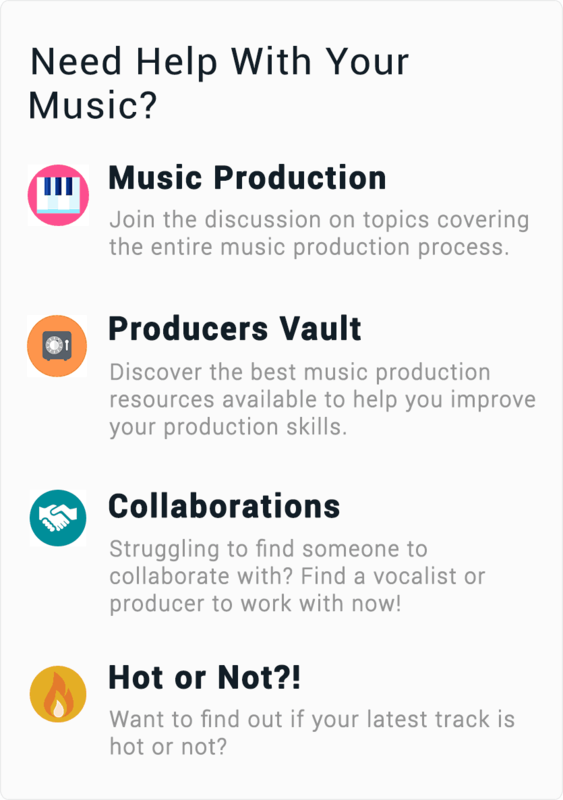 ** Keep in mind that adding other layers can give even more interest and depth to the sound. The group processing on the Future Bass synth is minimal but very important. The plugin processing shown below is on the entire group of sounds that we just covered minus the top lead. First we have an EQ taking out the 1 kHz range as this is one of the problem frequencies. Then we dip out the high end around 9 khz with a broad Q to leave room for the top lead (would also be needed if you had vocals). This is the main reason why we separated the top lead from this processing. All these layers have a lot of harmonic content and if we did not dip this out, the top lead would not have enough space to shine through in the mix. 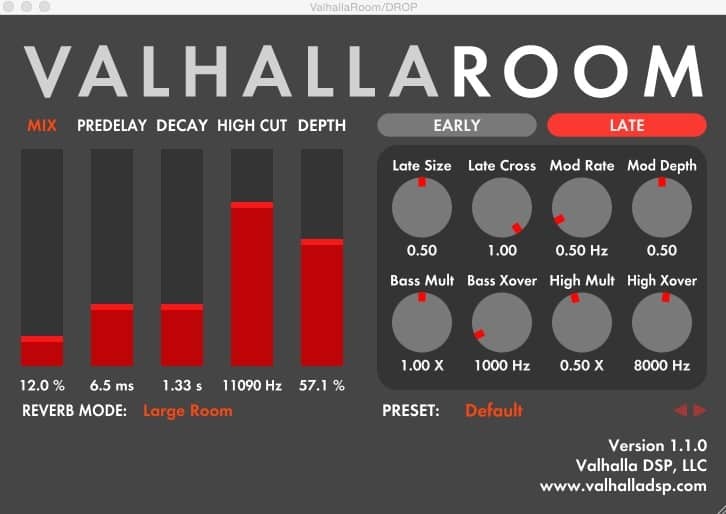 Next we have a Valhalla room reverb. Keep all your layers dry from reverb in the synth and on their respective channels and applying one reverb on the whole sound is a good practice as having multiple reverbs with different settings can muddy up a mix fast! We have Melda Production’s MAutoAlign. When you have multiple synths running that are all processed with plugins, your computer has to do a great deal of math to process and output the sounds. This results in a small delay of the sound. While this delay might be inaudible, there is still a negative impact of this latency. You want your sounds to play exactly where you drew each midi note as this contributes to the overall power and fullness of the sound. This may only make a small difference, but you do want your drop to have the biggest impact on the listener, right? * Even if you have bounced down your synths to audio, it is still a good idea to put on an auto align! In the auto align we turn down the maximum delay to it’s lowest setting 0.10 ms and hit analyse while the track is running. The same goes for your sub as well! 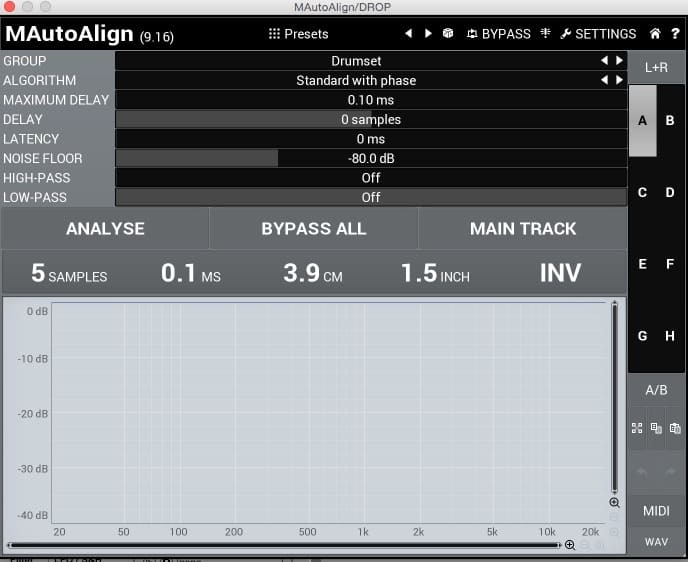 Put MAutoAlign at the end of your sub chain so the low end of your track is providing as much power as possible! To give a little extra character and movement to the chords we added Melda Production’s MMultiBandVibrato and an auto filter. Melda’s M vibrato set to a 1/16th note, sounds excellent when used sparingly. This gives our chords a funkier feel to them which is exactly what we want. As for the auto filter, we do simple but effective high cutting in certain parts of the chords to add depth and automate the resonance along with it for added tonal changes. 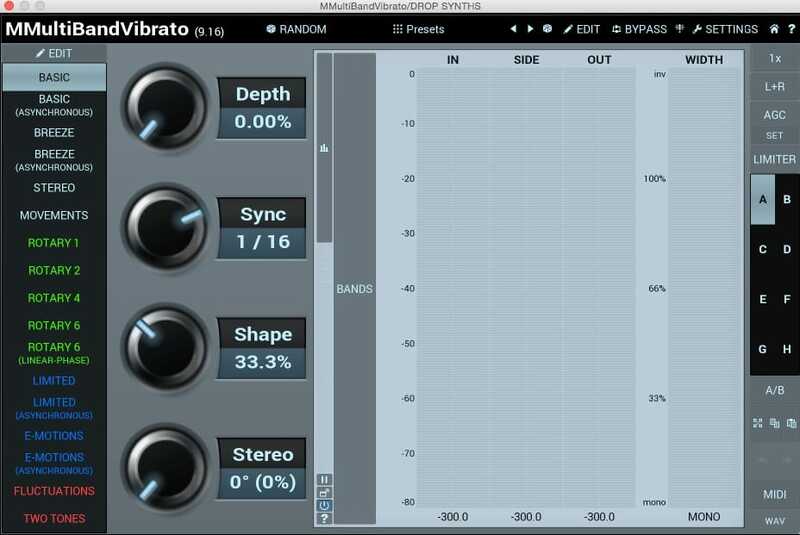 Here is the automation that we wrote in for the vibrato and auto filter. 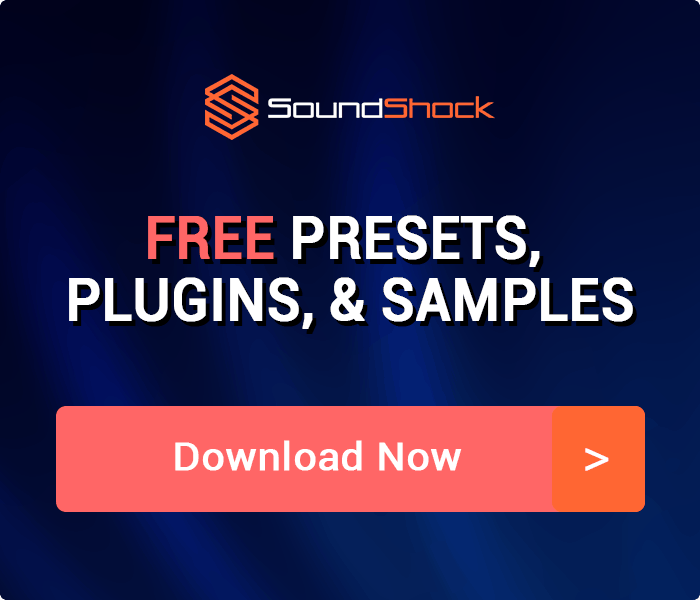 If you stick to the above process of creating chords, layering your sounds, and adding movement, you are sure to create a more dynamic and full sound that amps up the energy of your Future Bass synths. 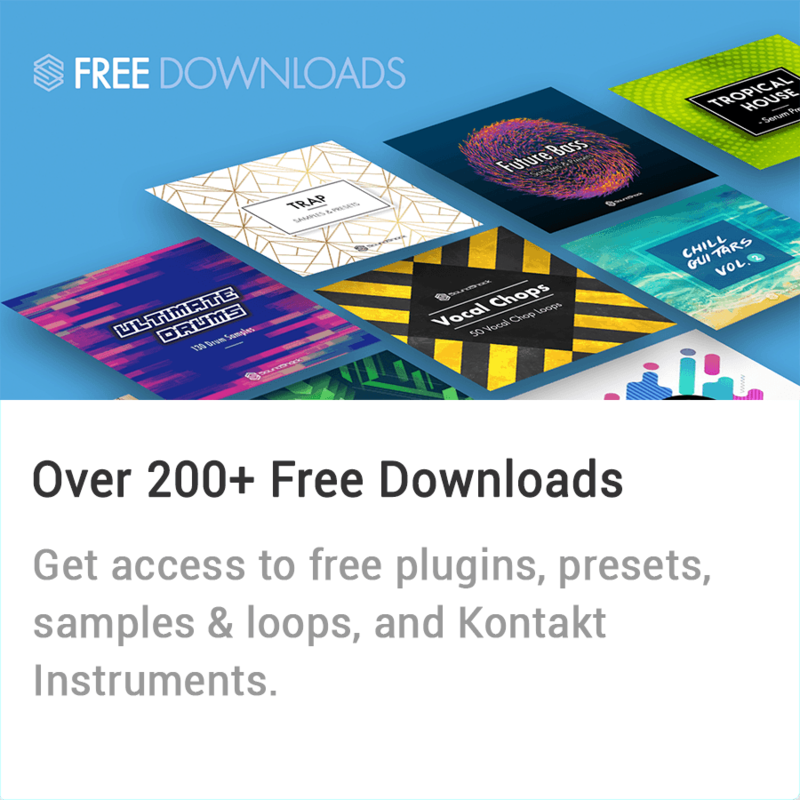 So get in your DAW and get to working on your next Future Bass hit!